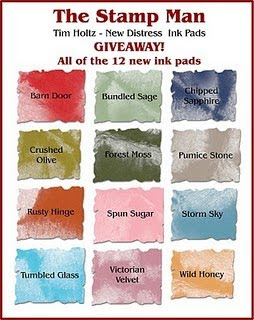 Giveaway: All 12 New Tim Holz Distress Ink Pads or Re-inkers!! For a chance to won this blog candy go here. On this episode I create a really EASY thank you post card! Artists have dirty hands...and other reasons to have an indoor picnic! 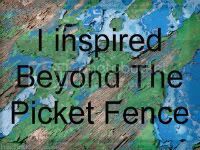 I had a wonderful artistic weekend all around. On Friday I picked up my oldest grandson for an art journaling date which he loves to do and after a couple of hours we decided to have a true feast of cheese, yogurt, pasta and fruit on a blanket with the paint still on our hands. We drank from fancy glasses and had a wonderful,magical feast. I managed to get my Life Q- Week #8 done on time as well as finishing my Chunky He(art) pages for an Art forty two swap.By the end of the weekend we all had ink on our hands and glitter in our hair and it was absolutely marvelous!!! On this episode I create an elegant, wimple wedding card with a cool flower technique. On this episode I create a small valentine mailbox with matching cards. This week's question is: Saturdays are a great day for ______________. "Can you dig it? Yes I can and I've been waiting such a long time... for Saturday...!" Saturdays are my most favorite day of the week! I was making this video on a Saturday and because it is my favorite day of the week I thought it would make the perfect prompt!